If you’re not on the look out for nervewracking experiences, here’s some places we wouldn’t recommend you visit. In order to be more faithful to the spirit and mood of this article, we opted for a top-nine list instead of the usual top ten. You see, the Japanese consider ‘nine’ an unlucky number because it’s pronounced the same way as the word for pain, anguish, suffering and distress. Have fun. When you build a massive department store (at one time the tallest building in Asia) in Ikebukuro on the very site where seven Japanese war criminals were executed, you’re bound to antagonize some ghosts. In fact, its construction was plagued by many incidents (injured workers, strange apparitions). Even now, people spot strange fireballs floating around. 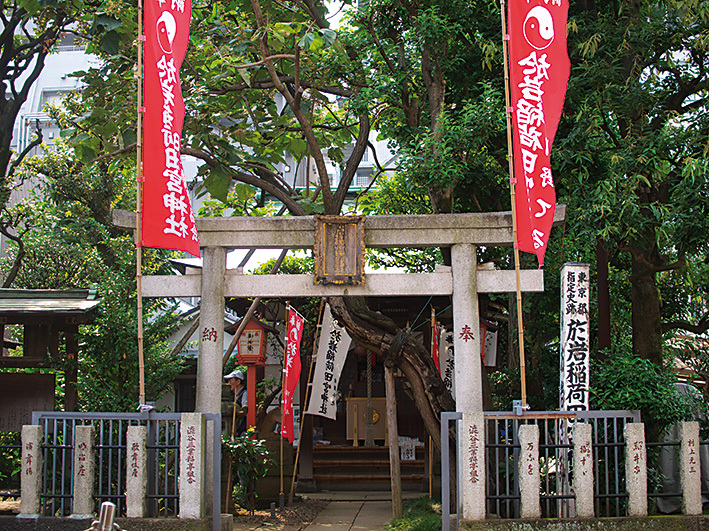 Properly known as Oiwa Tamiya Jinja, this shrine was the former home of a woman who was poisoned by her husband and came back as a ghost to haunt him. With her dishevelled hair and one drooping eye, Oiwa became the prototype for other fearsome female phantoms. Yotsuya Kaidan is arguably Japan’s most famous ghost story, made into a Kabuki play in 1825 and then dozens of cinema versions. The tradition continues for staff and casts of such productions to pay their respects at the shrine first, or risk suffering the wrath of Oiwa. A hill located in Toyama Park, and the former site of the Army Medical College and Hospital, houses several medical research facilities, one of which was rumoured to be used for training the notorious Unit 731. Bodies used for medical experiments were said to be secretly buried there, and human bones continue to be unearthed within the park. Especially fearsome at night, with reports of sounds of crying and voices. Located in Yokoami-cho Park, where throngs of people who took refuge there during the Great Kanto Earthquake were burned to death. The park also served as a makeshift crematory for 38,000 bodies. Graphic photos are on display in the Ireido (Hall of Repose), a cavernous Buddhist style memorial hall built in 1931, which was also used to placate the souls of the victims of firebombing in the Second World War. 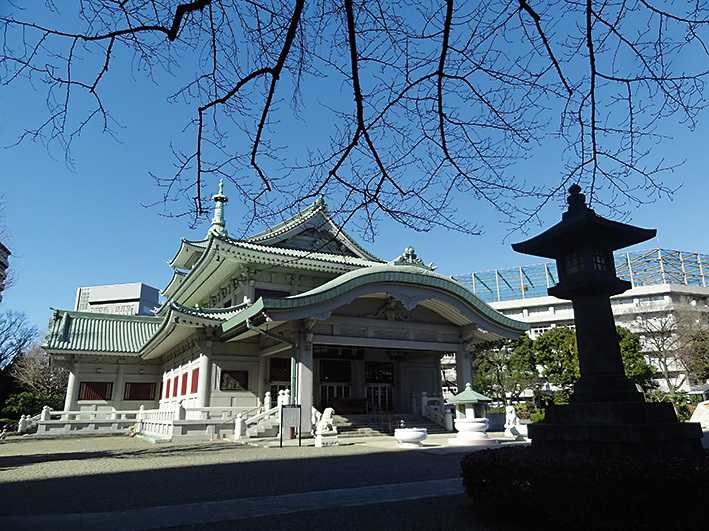 Located in Tokyo’s financial district, this is the final resting ground of an angry samurai rebel of the Heian period named Taira no Masakado. His decapitated head mysteriously resisted decaying for 3 months, the eyes continued to roll, and it eventually propelled itself from Kyoto to Edo. Construction workers who disturb the grave risk accidents or death, and it’s said that nearby office workers avoid sitting with their back to the grave to avoid causing offence. 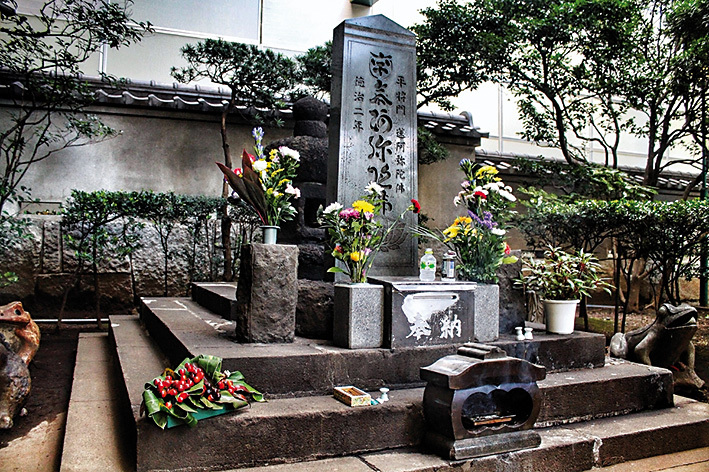 Recently, the grave has become a “power spot” for those who want to harness some of the samurai’s fighting spirit. With one foot planted squarely in a graveyard, and painted the same vermillion colour as a Shinto torii gate, this landmark 1958 steel structure is home to a frequently-sighted ghost of a little girl,and also houses a creepy wax museum with a likeness of Hisakichi Maeda, the tower’s deceased founder. Maruyama Kofun in nearby Shiba Park is Tokyo’s biggest tumulus (it’s 110 metres long) and, of course, it’s thought to be haunted. Located along the old Tokaido road, this was one of the main Edo-period execution grounds. Between 1651 and 1871, it’s estimated that 100,000 to 200,000 people were killed here. A burning pyre, and a stone platform to erect crucifixions attest to a range of cruel capital punishments. The “Bridge of Tears” is located nearby, where relatives of the doomed are said to have lingered. Taxi drivers speak in hushed tones of the whitefrocked girl who hails them only to disappear in a wet puddle on their back seat. Interred here are famous murder and suicide victims, and others who suffered tragic endings from the 19th century onwards. Hitotama “orbs” are frequently spotted late at night. Hastily built in 1964 to meet urban improvements for the Tokyo Olympics, the tunnel runs directly beneath the cemetery of Senjuin, a Buddhist temple. Reports often involve a female ghost with long hair who hangs upside down from the ceiling and sometimes falls on cars with a thud.